During Dr. Shapiro’s 24 years of experience as a hair transplant surgeon, he began to question the link between nutritional supplements and hair loss. His research led him to develop a line of Help Hair(R) products containing nutrients specifically designed to improve the quality of the hair. 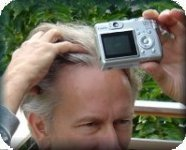 He studied the effect of one of his products, Help Hair(R) Shake, after hair transplants and discovered that the transplanted hair grew in much more quickly than usual. The term Accelerated Follicular Restoration(R) [AFR(R)] is used to describe using Help Hair after a hair transplant. Other hair transplant doctors have started receiving instruction from Dr. Shapiro so they may offer AFR to their patients. Recently, Dr. Shapiro developed the Shapiro High Anabolic Profile Index Ratings and Overview Chart (S.H.A.P.I.R.O. Chart) to show doctors a theory of how AFR works. This is the first chart that links anabolic use, including workout products, growth hormones, testosterone, whey protein isolate, creatine and IGF-1, with hair loss. The chart shows the risk of hair loss involved and actual chemical pathways. He also offers a Low Anabolic Profile, which helps doctors address lifestyle products that affect hormone levels, and may therefore cause hair loss. Currently over 400 patients have used Help Hair Shake and products successfully. At Dr. Shapiro’s booth, doctors may get a printed S.H.A.P.I.R.O. Chart with the Low Anabolic Profile, and apply to become AFR doctors. More information is at ShakeMD.com. This entry was posted in Baldness, Hair Loss, Hair Transplant, Hair Transplant Physicians on August 31, 2011 by Larry Shapiro.